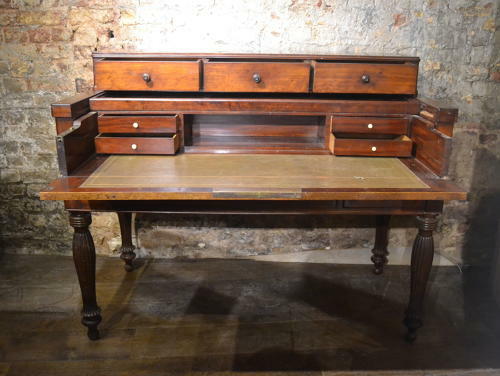 This is a fabulous Victorian mahogany desk, thought to be continental. It has a pull-out writing slope with green embossed leather. It has four interior drawers, and six exterior. The desk has locks and decorative legs. Original good condition.